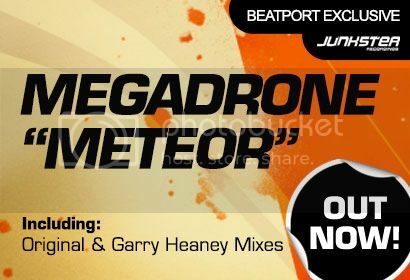 Megadrone - Meteor [Junkster] | OUT NOW! 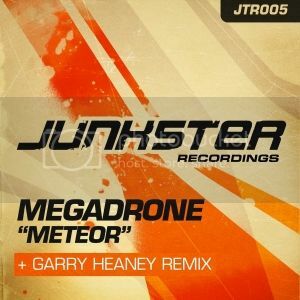 Thread: Megadrone - Meteor [Junkster] | OUT NOW! Next up on Junkster Recordings, it’s the return of head honcho Judge Jules under his latest alias ‘Megadrone’, delivering that killer punch in the form of ‘Meteor’. A huge peak time festival riff, chunky percussion and quirky vocal effects all feature in this mouth-watering masterpiece. Not afraid to stray left of centre, the Judge executes another club killer with this unique fusion genres and energetic ensemble. Getting larger and phatter on the flip, Garry Heaney turns up the wick for a heads down mix that will for sure cause a stir when it’s dropped, with that rolling deep bass line, throbbing kick and full on energy. Massive!